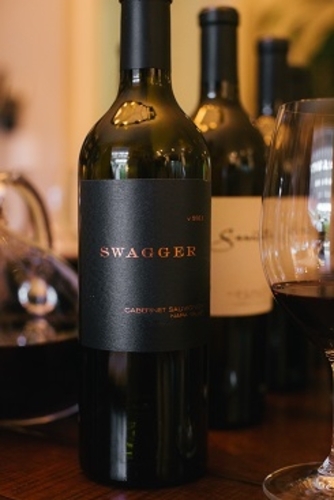 Swagger is made from 100% Cabernet Sauvignon grapes from the Eagle Summit Vineyard, clones 4 and 7 and the Redhead Vineyard, clone 685 by Thomas Brown. We use 100% French oak barrels, 80% new from Taransaud, Darnajou and Hermitage. The first thing that stands out in the 2016 Swagger is the intense dark color - evidence of the complexity, richness and density of this wine. On the nose are aromas of dark chocolate, tobacco, black fruits and cola. Smooth and complete on the palate, the essence of blueberry mingles with rich cacao, blackcurrants and licorice. The finish is long with velvety, integrated tannins.